Thinking of starting a career selling your services on Fiverr but don’t know where to start? 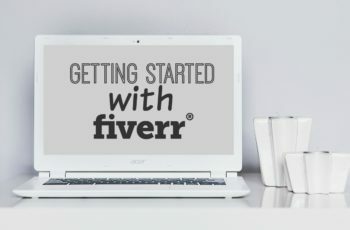 Here’s 5 simple steps to get you started with your very first sale on Fiverr. Spend some time researching on what’s popular on Fiverr and find the best niche that suits you. Generally design work and content writing are really popular. But find something that you’re comfortable of doing. For example if you’re not good with design then don’t choose to offer that service even though its popular. The rule of thumb is that since each gig starts being priced at $5 on Fiverr, it shouldn’t take you more than 15 mins to complete one gig. Any longer means it isn’t worthwhile. Fiverr gives new sellers a chance at some visibilities by having a “new seller” section for most categories. So once you post your gig up for the first time, you’ll be listed there for a couple of hours or days. This will be the best shot for you to get your first customer. With this in mind, think of when buyers would require your services. For example if your target customers are corporates (e.g. copywriting, web analysis, etc) then its best to post your gig on a weekday. Likewise if your target customers are consumers who maybe wants a portrait drawing, then weekends may be a better time. Unlike Facebook, there’s no restrictions in terms of text on your gig’s featured image. So go ahead and be creative. Add in bold eye-catching text that helps sell your service. Think of how you can be differentiated among the other thousands competitors out there. Maybe showcase some of your past works for buyers to be more convinced. I posted a total of 4 – 5 gigs, and I didn’t get a sale immediately. It took me about 3 months to get my first sale. Prior to that I had some enquiries, but nothing came through. The more gigs the merrier. Try to shoot for about 10, then vary the description, headline, tags etc to get the optimal exposure. Once you get your first order, it should slowly have a snowball effect. Simply put you should be getting subsequent sales fairly quicker now. My second sale came about 3 weeks later, then subsequently I’m getting a sale each week now. Generally if you provide quality work, the buyer would be happy to give you good ratings and positive comments. This helps A LOT for your subsequent sales. Don’t be shy to ask if you don’t get any. Though its not publicised on Fiverr, but I’m quite sure factors such as “response time required to answer questions”, “delivering the order on time”, “ratings and comments” play a big part on how visible you are to a buyer. If you have some money to spare. Get someone to hire you, then post positive ratings and comments. Though its not the right practice, but it would speed up the time required to get the initial couple of orders. Once that happens, you should be fine on your own. Do you have experience selling on Fiverr? We’d like to hear from you! This is detailed post about getting first order on Fiverr. Am a newbie to Fiverr and I found this tips helpful. Thanks a lot for sharing this valuable article. I hope, this may be worked. I will try your instructions. Thanks for your article. I will try your tips. Wow, excellent post for a newbie like myself. Very clear and precise on how to succeed. Many thanks.